EducationUSA China is the official, trusted source of information on studying in the USA. Based in the Public Affairs Section of the US Embassy in Beijing, EducationUSA China provides Chinese students, parents, and the public with free, accurate, comprehensive and current information on US higher education so they can find the American higher education institution that is right for them. EducationUSA China is the official, trusted source of information on studying in the USA. Based in the Public Affairs Section of the US Embassy in Beijing, EducationUSA China provides Chinese students, parents, and the public with free, accurate, comprehensive and current information on US higher education so they can find the American higher education institution that is right for them. The serivce also provides help to parents and students in completing the application process. 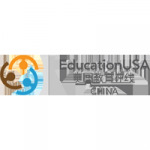 EducationUSA China is also dedicated to providing services to education circles in both the USA and China, with the goal of improving collaboration based on comprehensive and accurate information, combined with the special on-the-ground support we provide. EducationUSA China Senior Education Specialists serve all of Mainland China by offering online and mobile advising through “Advice for Students”. They strictly adhere to the ethical principles the US Department of State issued and do not work with commercial agents.